Futbol USA: Which forwards will Klinsmann take to World Cup 2014? Which forwards will Klinsmann take to World Cup 2014? Juergen Klinsmann has an interesting predicament: the stable of US National Team forwards is considerably deep. The coach will have to think long and hard about his core of players and it's fair to question the pros and cons of possible selections. Jozy is all but assured a place on the plane ride to Brazil. This in spite of a horrific year with Sunderland of the Premier League. Altidore has shown that he is a hold-up forward, a target forward, and a power forward. These traits are tough to match and no other striker in the US pool exists that has them all. Johannsson came into the race for a spot in Brazil relatively late. But he did so in style. The Mobile, Alabama-born Icelandian-American chose to represent the USA late last summer. He rewarded the Americans with speed and excellent timing and a goal versus Panama that gave the US another win of the Hexagonal in qualifying. Not to mention he has scored 20 goals in 25 goals in all competitions for AZ Alkmaar this season. Barring an injury, Klinsmann can hardly afford not to take him. The DC United man has lost his scoring touch lately and this might figure into his calling to training camp for the final 30. Still, Johnson was pivotal in the 2014 qualifying campaign and moments such as the goal versus Mexico in Columbus are not easy to forget. Wondolowski is a poacher. He has shown it time and again for San Jose and he has continued to show it for the national team. 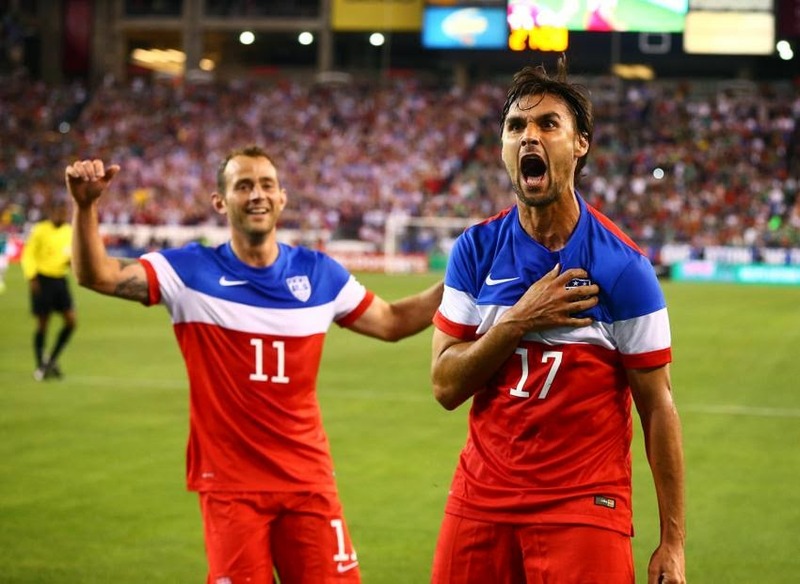 Wondo has scored 9 goals in his last 10 appearances for Team USA. Hard to argue against that. He is, at the moment, an ace in the hole, a supersub, a game changer. Boyd has been a bit of an enigma. While he has impressed during his time as a starter with Rapid Wien, his national team record is quite incomplete. Boyd just hasn't had enough chances in front of goal because he hasn't had enough chances to be on the pitch to begin with. The same can't be said for any other name on this page. The last trully exceptional moment he had was a pass that led to Michael Orozco's goal in a win versus Mexico at the Azteca. 22 goals in 54 games for Rapid is also impressive, but does that make him a worthy inclusion in the final 23 to Brazil? Right now it's clear that, given this group, both Agudelo and Herculez Gomez would miss the cut. Agudelo has scored only two goals in a half season with Utrecht. Herculez has not recovered in form after his injury and can be all but counted out. Let's also remember that both Donovan and Dempsey, and to some extent even Julian Green could be classified and played as forwards. Where does that leave the final 3-4 striker selections? Only four forwards will make it to Brazil. And that assumes Dempsey counted as a midfielder. Wondolowski and Johannsson are in form goalscorers, but they don't match up physically against Ghana or Germany. Altidore and Johnson are the best the US has when in form, athletic and inventive, but can we afford to start them given their lack of clarity in front of goal at the moment? Klinsmann and the US forward pool is at a crossroads at the moment. This is not Bob Bradley's 4-4-2 squad with speed and strength at the forward flank. This team is about possession and holding the ball, and only one striker is needed for that. Right now it's still Altidore's job to lose, for better or worse. If we want to see Wondolowski and Johannsson deployed then the upcoming friendlies should give us a taste.